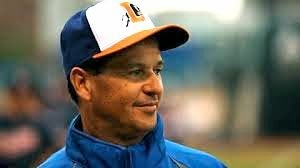 Watching Durham Bulls Baseball: What About Charlie? Turmoil at the top of the Rays system. What might that mean for our favorite Durham Bull, Charlie Montoyo? Prompted somewhat by the comments by Cork Gaines over at Rays Index and with all the usual caveats, here are my thoughts. Jump in with yours. The Rays have worked very hard to build a decent minor league system, although more of their success has come through trades rather than home grown talent. How satisfied are they with what they’ve got rather than what they’d like to have? What they’ve got, in Durham, is a pretty famous fellow. He’s won a bunch of championships, has been featured in the only two books in recent memory about Triple-A baseball (John Feinstein’s Where Nobody Knows Your Name, and Sam Stephenson’s Bull City Summer), and has fed a lot of ballplayers upward to the Rays. For several years the Rays bench coach, Dave Martinez, went off to end-of-season interviews for manager jobs and Charlie was always at the top of my list for his replacement. But Martinez never got a job. This year Manager Joe Maddon left and the Rays began looking for a replacement. Charlie was on the initial list, but didn’t make to the end. Former Bull Kevin Cash got the job. Then Martinez left and later joined Maddon with the Cubs. The Rays bench coach slot is wide open. How important is perception? My own take is that I never noticed any particular closeness between Maddon and Montoyo; however, Montoyo obviously had daily conversations with someone in St. Petersburg. My perception is that Charlie was not part of Maddon’s “crew” and thus is not on a chopping block. But, and this is a big but, how important is he to the “system” by staying at AAA? From a systemic point of view our judgement is that Charlie Montoyo is the most important on-the-field guy in the entire Rays system. Looked like the folks in St. Pete were telling him what they needed, and he figured out how to provide it to them. Over in our section of the stands I’ve always taken the position that Charlier was doing more good for the Rays in Durham than he would as a bench coach (whatever that is) in St. Pete. As far as I can tell the Rays new manager Kevin Cash never played for Charlie, but he did have three tours with International League teams while Montoyo was managing the Bulls: Pawtucket in 2007, Scranton/Wilkes Barre in 2009, and back with Pawtucket in 2010. Cash had a chance to see the changes/philosophy that Montoyo brought to the Bulls after the disaster of 2006. Cash might want to work with Charlie. Unfortunately for the Bulls fans, I have to say that Cash/Montoyo could be one heck of a team. And, since baseball is, after all, about “moving up” maybe it’s Charlie’s time. He has certainly earned it. After sending so many guys to the "bigs" maybe it is his time. But we sure would be happy to see him back in Durham in 2015, too. My problem is that I don't really understand how big league coaching staffs work. By my count there's at least six other guys in the dugout/bullpen with Cash, so what's the role of the bench coach? And does Charlie fit? Bill Evers was the bench coach for a season or two, so it's not atypical for the minor league guy to go get that position. Basically the bench coach is sort of like assistant-manager. When Maddon got ejected, Martinez always took over the role for instance. As a Bulls fan I think we have to realize that Montoyo's time is coming to an end soon whether it be now or next year or the year after. Just from a quality of life perspective, being with a big league club (Tampa or otherwise) is a much better gig. I'd have to think with the family that if Charlie's given an opportunity here or elsewhere he's probably going to go. As a Bulls fan what's interesting is who would be next for us? I hear the AA guy is an up and comer, like Charlie was. Is that next? Well guess that answers that question. Charlie to the Rays as 3B coach. Now who do we get?